What is beef jerky? It is dehydrated and salted beef. However, it’s not just beef that can be dehydrated. You can practically dehydrate any organic substance, which obviously includes all types of foodstuff. In fact, a lot of people rehydrate simply for preservation, but most do it because dehydrated food is amazing and quite healthy as well. Some of the most common dehydrated foods include fruits such as cherries, apricots, pineapple, apples, bananas, grapes, and plums. 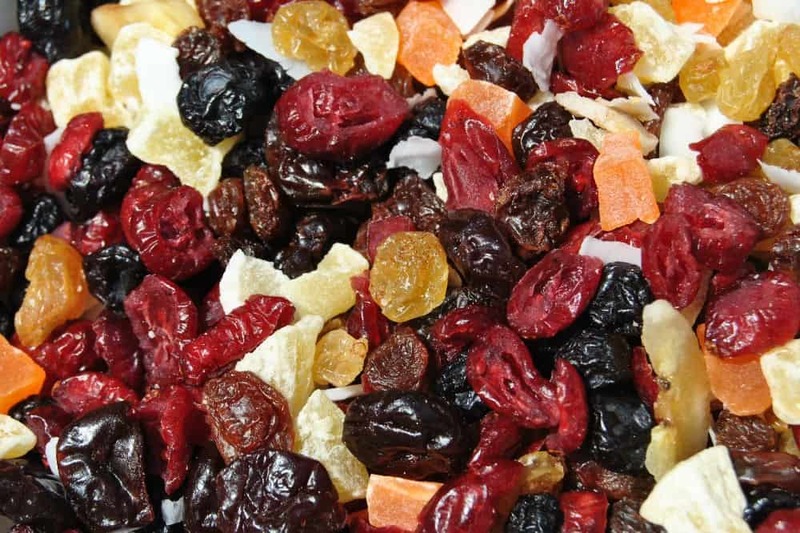 Dried fruit is usually added to cereals, to make whole grain bread or other mixes. Some of the most common dehydrated vegetables include mushrooms, root vegetables, onions, tomatoes, peppers, chilies, and herbs. 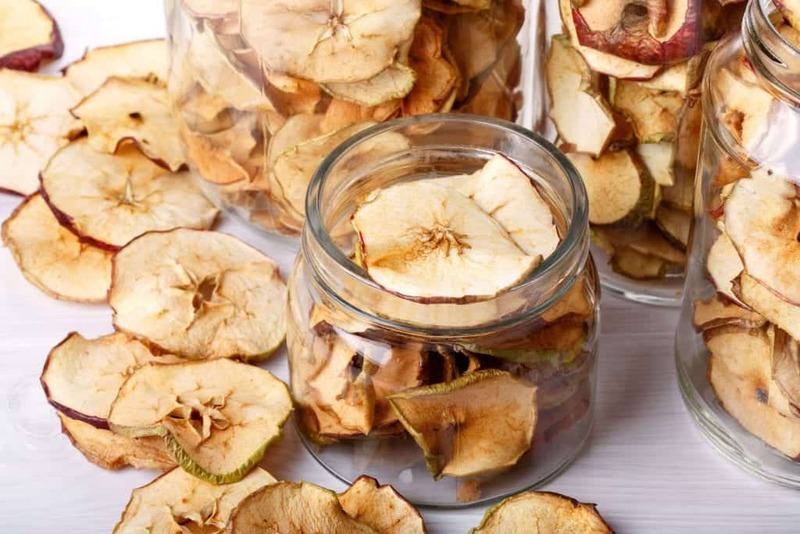 These dried vegetables are also commonly used in soups or processed snacks. Jerky one of the most commonly consumed food comes from dried and seasoned meat. Common types of jerky include turkey, buffalo, and lamp. Health enthusiasts commonly use the food dehydrator to create granola bars with raw and dried food. The dehydration process is done when fruits, vegetables or even meat appear leathery and are dry inside out. Dried vegetables may even develop a crunchy texture and are completely dehydrated when there is no moisture left inside. Jerky or any other form of meat that is dehydrated develops a leathery and chewy texture, but if you push it a little more, you can get your homemade jerky to get a bit crunchy as well. Before electric dehydrators, food dehydration was usually done outdoors using solar power, and no it did not involve solar panels. Good ole sunshine was always up for the task. However, these days a lot of the work we do in the kitchen doesn’t involve much work, thanks to modern technology. Current electric dehydrators use the natural movement of air along with thermal energy to slowly dry the food. The original food dehydration method, involving the sun, had a number of inconsistencies that made it unsuitable for mass market production. 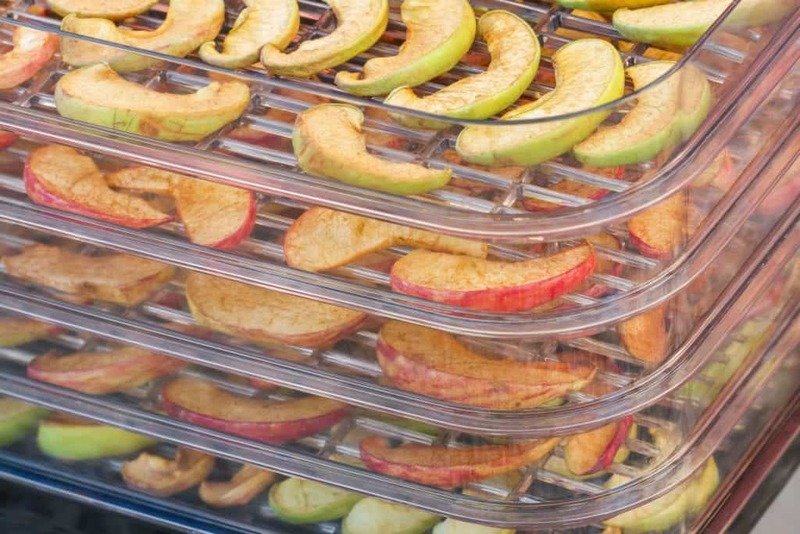 Modern dehydrators, on the other hand, are equipped with the state-of-the-art technology and are much more predictable, mainly because they have a consistent source and temperature for dehydrating food. Compared to traditional dehydrators, electric dehydrators more precisely circulate hot air that leads to efficient dehydration of food. is a bit unique and quite popular if we look at its sales figures. Despite its simple and metallic exterior, it consists of different new features as opposed to other food dehydrators. The L’EQUIP Food Dehydrator is unsurprisingly quite sturdy due to its stainless steel exterior. This means you won’t have to treat it like you would treat your special China collection. Along with that, the simple and relatively small cuboids’ design means that storage problems will not occur, especially for people who have a small kitchen. The temperature controlling feature means that the dehydration process can be adjusted according to the amount of moisture that is needed to evaporate. 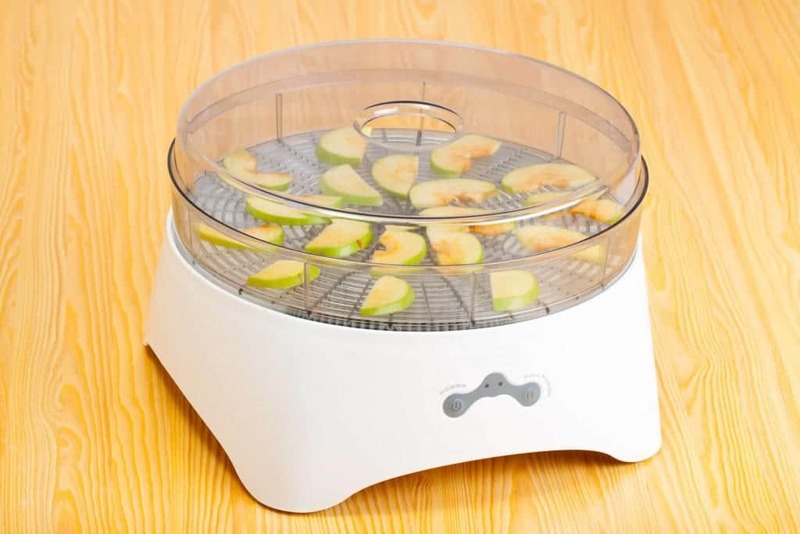 The dehydrator can be used to dehydrate different types of foods at the same time. But you will have to be extremely mindful of the various different times it takes for different types of food to get completely moisture-free. It is also equipped with the ‘centra flow’ air design. It is a special type of design that ensures proper distribution of heat throughout the entire heating compartment. 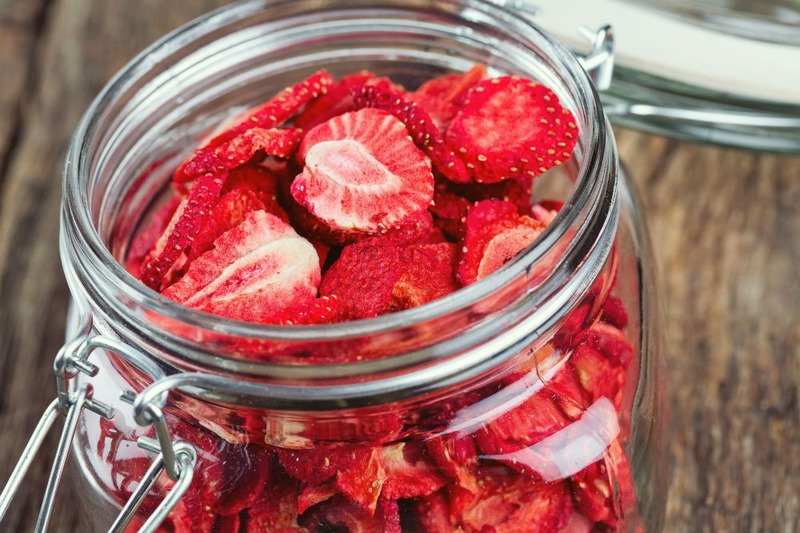 In most other food dehydrators the problem of uneven dehydration still continues to persist. The problem with not properly dehydrating food is that the little moisture is enough for the food to catch mound and start to rot. The appliance comes with 12 different trays. Of course, you won’t be able to fit all of the twelve trays in the dehydrator, but you still have some spare tray, just in case. Another important feature of the L’EQUIP Food Dehydrator is that it is highly energy efficient. It has a 530-watt drying system that also comes with a 10-year warranty. That means you can always get a new one in a time span of 10 years as opposed to other food dehydrators that come with a warranty of 5 years. It also comes with 6 drying trays, 6 mesh screens, and 2 fruit leather trays. There are also different types of trays for different types of foods. Centra Flow system ensures adequate levels of heat are transferred while being evenly distributed inside the drying compartment. , in short, is a simple yet efficient food dehydrator that comes with 6 trays that are designed for different kinds of food. It comes with a warranty of 10 years and is also budget friendly. The temperature adjustment feature makes it ideal for people who need to dehydrate different kinds of food and can’t be around to supervise the kitchen constantly. These people can simply use the automatic turn off the feature and don’t worry about overheating or over drying. is another high-quality product. Due to the similarities between the two dehydrators, we believe we can compare to the two appliances and get an idea of which of the appliances is the better product. Although Excalibur comes with nine trays and it does not support any more trays even if you bought a few extra. L’equip, on the other hand, comes with only six trays but supports up to twelve trays at a time. You would, of course, have to buy the extra trays independently. But the option to use the extra capacity is good to have. As you can see from the information, both of these appliances offer quality and convenience. Hence, it is slightly difficult to choose between the two. Features on both of the dehydrators are almost the same. Despite sharing so many of the same features, the L’equip still stands out simply because of its compact design and its central flow air ventilation design. Based on these reasons, we feel that L’equip is the better product and you should definitely give it some consideration.